Wall, NJ: Sanitary conveyors in the Pharmafill(TM) line from packaging machinery manufacturer Deitz Co., Wall, NJ (www.Deitzco.com), feature a proprietary design that promotes complete cleaning without any disassembly required. The food-grade conveyors set a dust-resistant, acetal tabletop chain belt a full 1-1/2 inches above the conveyor body to allow full access to the stainless steel structure and to both sides of the plastic belting while the variable speed motor is mounted safely underneath the conveyor and away from the product. Ideal for food, beverage, pharmaceutical, nutraceutical, and other facilities, the novel design speeds manual wipedowns to minimize sanitation cycle time, withstands automated washdowns and supports overall line uptime with virtually zero maintenance. Designed for easy integration with filling and packaging machinery from any manufacturer, the modular conveyors are available in variable lengths from six feet to 30 feet or more for easy lengthening or shortening after installation, are height-adjustable, and include casters as standard for easy movement. 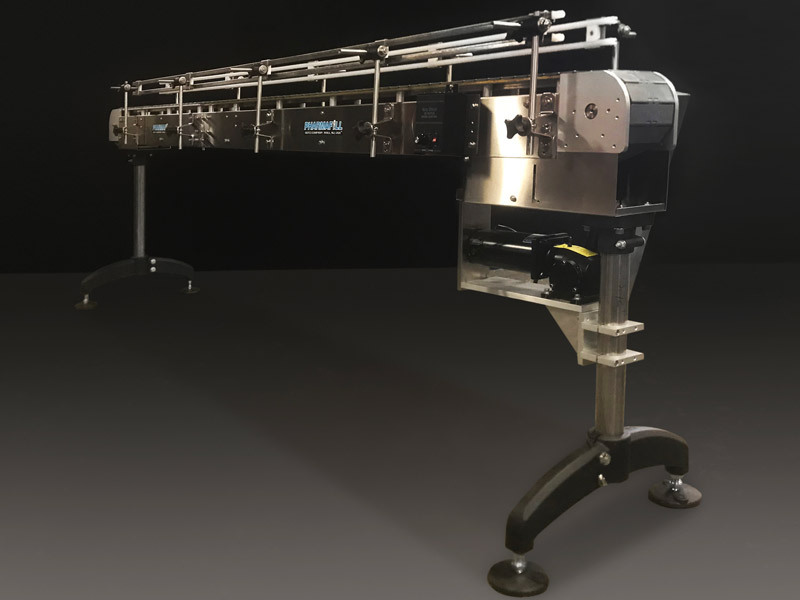 Dual rails included on both sides may be adjusted in opening, height and shape while their industry standard mounting hardware permits easy expansion or addition of reject stations, spacing wheels, custom dead plates, and powered transfers such as turntables and bottomless conveyors. The conveyors are manufactured at the company’s Wall, New Jersey headquarters and delivered with a full warranty ready to plug in and operate.